In a ninety-minute conversation, I tried to dissect one of the most well-known and respected, but also most misunderstood people in the youth soccer development landscape. 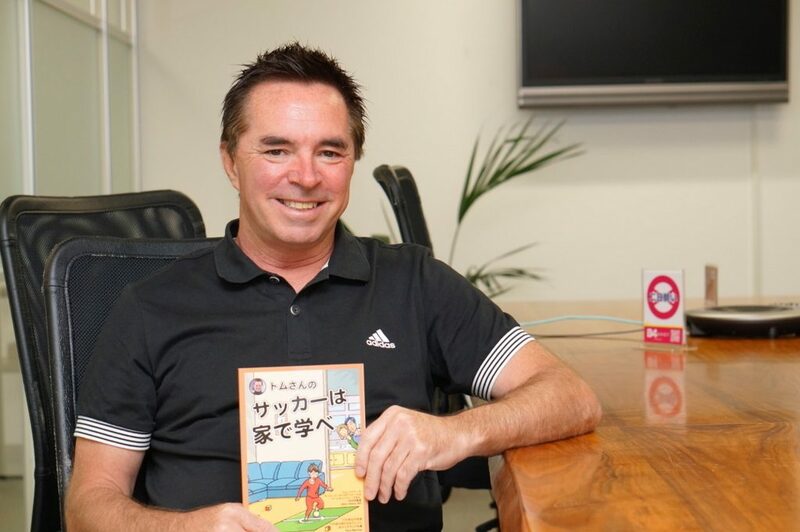 Tom Byer, author of the book Soccer Starts At Home, has a very simple message that he really tries to hammer home in this episode and every time that he jumps on a podcast or talks to the media. He thinks kids should be comfortable with having a ball at their feet before they enter the traditional structured team training environment. And he believes that parents can start the player development process long before the kids sign up for their first team experience. 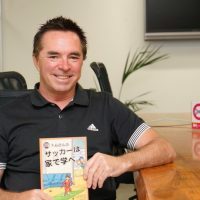 Tom has been in the business of player development for over two decades, with the bulk of his work taking place is Asia. He recently ran a pilot program in Washington with U.S. Soccer that seemed mysterious to some that weren’t intimately involved with the project. But Tom doesn’t shy away from putting all of the rumors to rest. Actually, explaining that program and his involvement with US Soccer was one of the main reasons Tom wanted to come on the show. Him and I have been trying to link up for awhile now and our paths briefly crossed in New York City in late 2017 and we were able to meet in person for the first time. It was great to actually meet him and shake his hand. Towards the end of the conversation you’re about to hear, Tom actually mentioned that he signed up and went through the free 7-week course here at 343coaching.com. He said, “You will learn more by watching one or two of their videos than you might learn in any fulltime course.” You’ll hear Tom say more about why he signed up and what he likes about the 3four3 programs. The online courses here at 3four3 are what help drive this podcast. 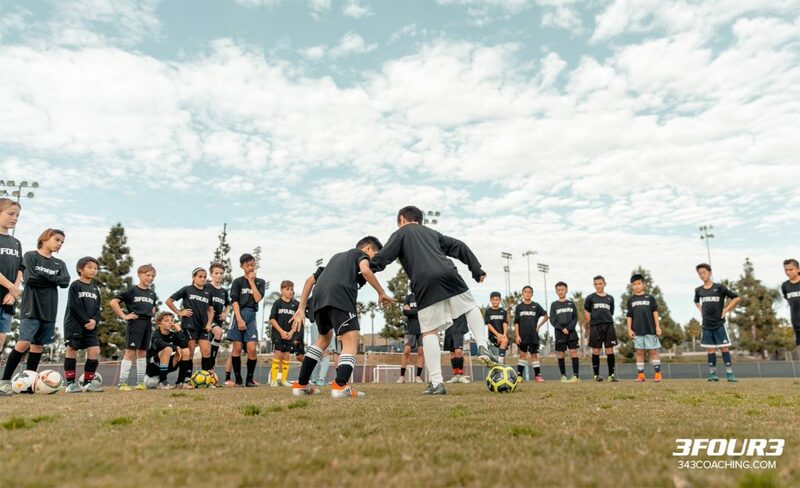 You can choose between a free 7-week course or the premium multi-phase course, both give you an inside look at the cutting edge training methods that are being used at the top levels of the game from youth to pro. If you’re not a member, and you want to learn more about the 3four3 coaching programs, you can find all of the information in the tabs to the left in those colorful boxes. While you’re here, you can also find over 200 written articles, videos, and more podcasts like this one. Just click around a little bit and see what we have to offer. If you enjoy this podcast, a 5-star rating on Apple Podcasts or wherever you’re listening to this show would also be much appreciated. Good stuff. Surprised there’s any push back. Seems rather logical. It’s the same reason parents play catch and OUT with their kids. I think back to my son’s bitty soccer program, which was our first exposure to soccer. The few years after that could have been very different had someone there demonstrated the type of ball control Tom suggests and showed us clueless parents simple ways to develop it (like simply trying to take the ball away from each other). I also wouldn’t shortchange how much development could take place from ages 6-14 with some tweaks to organized soccer. For example, it doesn’t make sense to me why we graduate kids to bigger fields with more numbers by age rather than skill. It’s like putting someone in algebra who hasn’t mastered basic math. Keep them in futsal or mini-soccer until they have the basic skills to move on. I see too many kids move to big fields/more players before they’re ready and their development halts for several reasons (fewer touches, figuring out new tactics, pigeon-holed into position based on their current strengths, to name a few).